Cassell Real Estate Services is located in beautiful, historic Independence, Virginia. Grayson County is a wonderful place to visit and live with plenty of activities to participate in. We have beautiful views and great parks for outdoor recreation as well. Please use the links below to help find out more information about our area! (We have 21+ festivals in Grayson County annually. There is always something to do here. There are a variety of activities to fit different interests. Listed are just a few. We would be happy to give you a more comprehensive list if you are planning to visit our area). Cassell Real Estate Services invite you to contact us with questions about Grayson County, Virginia and surrounding areas. 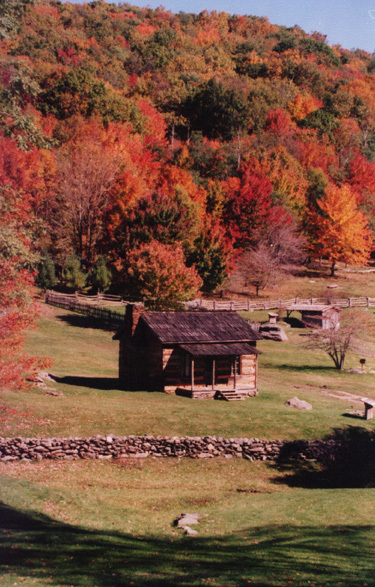 The Southwest Virginia area provides a peaceful and relaxing atmosphere for people of all backgrounds and offers a little something for everyone. This is rural living at its finest. Whether you are looking for a place to recline and enjoy beautiful scenery during your retirement, a safe place to raise your family or looking for a great hunting retreat, look no further. We are lifetime residents of Grayson County and know the county and its people. In our opinion, it’s as good as it gets. From the pleasant climate, breathtaking scenery, friendly people, to the scenic New River, Grayson County and the surrounding areas have alot ot offer. If you are looking to settle down and enjoy the slower pace of country living…or just need a get away place to vacation, come and explore! Let us show you culture, old time hospitality, quaint shops, good food, and many activities to enrich your health and well being. We hope this information has perked your interest in our area. We love this area and all it offers. The mountains are beautiful, inviting anytime of the year and so are the people.